man's. He banged at the door, and presently the heads of the old man and his-two stalwart sons were thrust from windows. "What's the row there? Who's banging? What do you want? " " Why who are you ? " 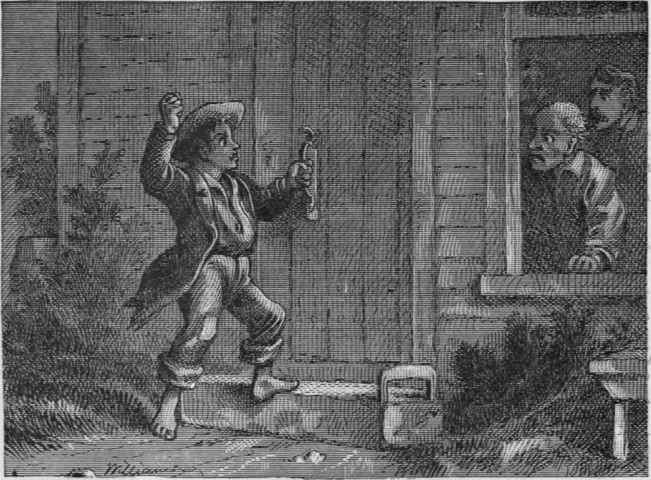 " Huckleberry Finn—quick, let me in ! " "Huckleberry Finn, indeed! It ain't a name to open many doors, I judge But let him in, lads, and let's see what's the trouble." "Please don't ever tell I told you," were Huck's first words when he got in.